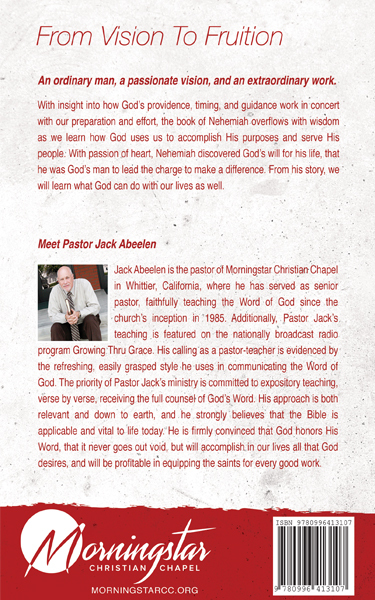 From Vision To Fruition is Pastor Jack Abeelen's newest book. This easy to read book walks you through each chapter of the book of Nehemiah giving you practical and applicable lessons of how God can use you in ministry. An ordinary man, a passionate vision, and an extraordinary work. 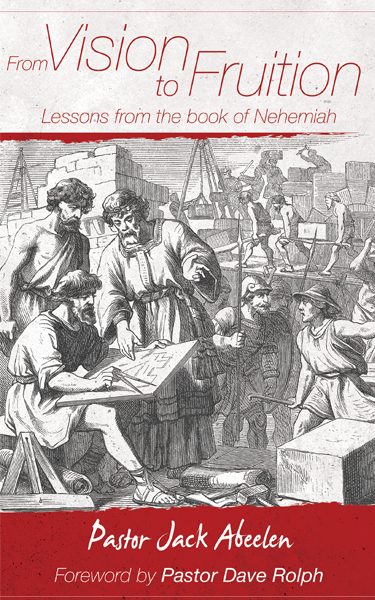 With insight into how God's providence, timing, and guidance work in concert with our preparation and effort, the book of Nehemiah overflows with wisdom as we learn how God uses us to accomplish His purposes and serve His people. With passion of heart, Nehemiah discovered God's will for his life, that he was God's man to lead the charge to make a difference. From his story, we will learn what God can do with our lives as well. For iBooks Reader Coming Soon!